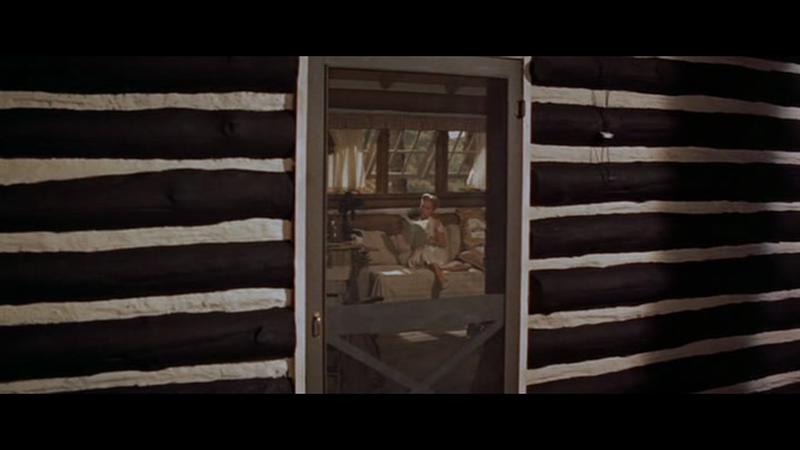 Watched Vincente Minnelli’s CABIN IN THE SKY and SOME CAME RUNNING in quick succession and was surprised to see that in both films a gambler gets stabbed. Is this a Minnelli motif? Does AN AMERICAN IN PARIS have a deleted scene where Oscar Levant takes a scimitar thrust after buying a lottery ticket? Am I forgetting a moment in BRIGADOON involving Cyd Charisse, a straight flush and a decisive dirk-thrust? I’d seen CABIN before but to my shame had somehow never got around to the other. My, it’s good. Shirley MacLaine may be the world’s most heartbreaking actress. My Dad doesn’t cry at films because he is a man, but TERMS OF ENDEARMENT reduced even him to salty face leakage. As Ginnie Moorehead in SCR she essays perhaps the screen’s most moving portrait of neediness and dumbness, making both qualities sympathetic rather than pitiable or pathetic. Partly she sneaks up on our emotions by playing it funny where she can, notably in a wonderful bit of business where she doggedly follows Frank Sinatra into his closet as he dresses. Twice. 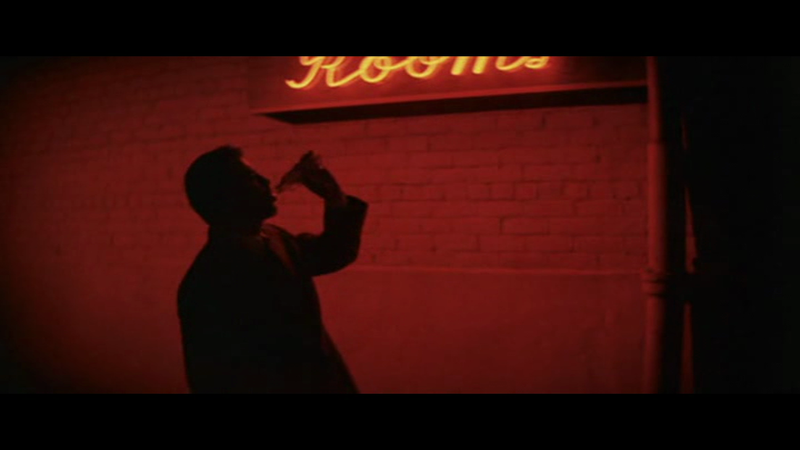 And then there’s her drunken singing scene, which is so funny it arguably blows a hole in the movie — very good catatonic work from Carmen Phillips… But the heartbreaking thing about Ginnie is that she’s not bright enough to know if she’s being insulted, and she usually is. But she gives everyone the benefit of the doubt because she can’t be sure they meant it. She’s really a saint. 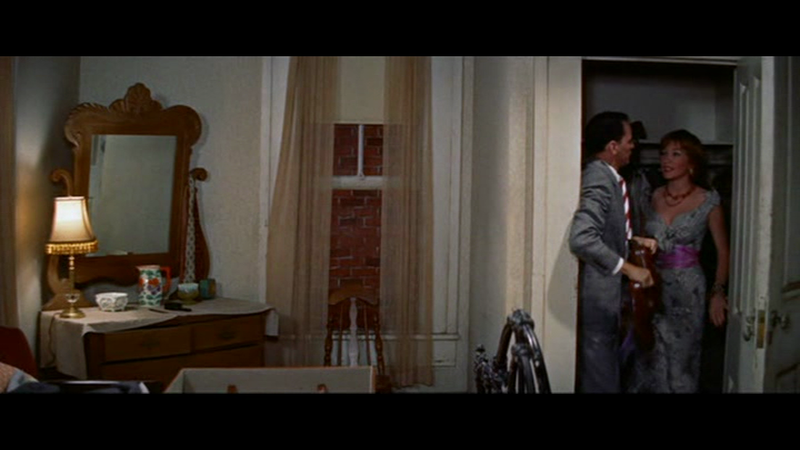 Also there’s Dean Martin who manages to be a largely likable alcoholic layabout misogynist, which is quite a feat. The film isn’t perfect, but as Pauline Kael may have remarked in a startling moment of lucidity, great films seldom are. In common with other James Jones adaptations, it has a whole heap of characters and could probably spare a couple. It’s set in a small town where we meet the same twelve people again and again and they meet each other wherever they go. And if two of them go to nearby Terre Haut, they’ll bump into each other. Which isn’t a particularly serious problem, but you do notice. 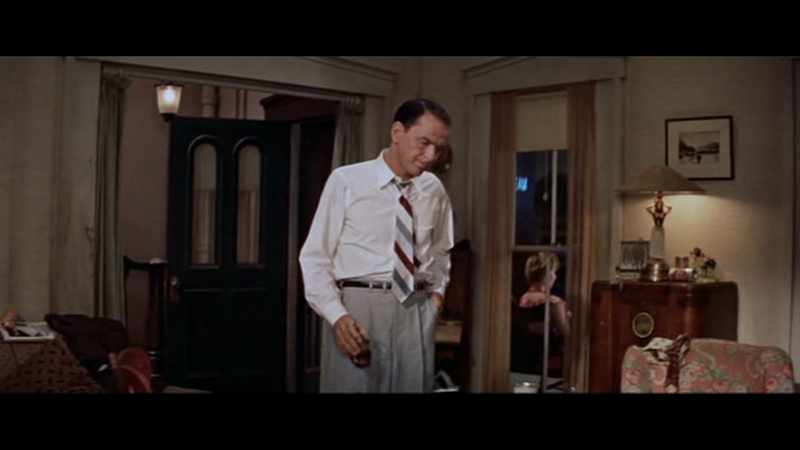 There’s a scene where Martha Hyer has to tell disillusioned author Frank Sinatra that his unfinished story is really good (“The people are so real…”), and it’s probably the worst attempt at onscreen intellection ever written. Both actors are very good in the film, but they both look ridiculous here. Although I’m intrigued by an implication that Shirley’s faltering analysis of the story, which makes Sinatra angry because she likes it without understanding it, is basically the same as Hyer’s — she likes the people. Minnelli, who has been doing quietly brilliant compositional work throughout, dividing the widescreen frame into subsections, isolating the dysfunctional characters from each other, lets rip with a climax that’s so luridly coloured and dynamically choreographed it does rather seem to have gatecrashed the movie by way of the Freed Unit. Brilliant, dazzling stuff, but is it too much? Possibly, but if it’s a stylistic error it’s one we can’t regret — a case of Minnelli getting it wrong with such panache that it’s better than if he’d got it right. Which makes no sense, but there it is.